Warning For U.S. Taxpayers With Interests In Foreign Corporations – You May Be Writing A Check To IRS. If you own an interest in a foreign corporation, you may be required to file Form 5471, Information Return of U.S. Persons With Respect to Certain Foreign Corporations. It is one of the most complex reporting obligations in the U.S. offshore information tax reporting regime and for U.S. taxpayers not complying could lead to rather large penalties. A taxpayer who fails to file a “substantially complete” Form 5471, absent reasonable cause, is subject to severe monetary and other penalties, beginning at $10,000 per year per missed form. It does not matter where you live, if you are a U.S. person with an ownership interest of at least 10% in a foreign corporation, the IRS wants to know about it and you must file Form 5471. Even if you live abroad and qualify for the Foreign Earned Income Exclusion, you must still file Form 5471. Additionally, the statute of limitations remains open for failure to file a Form 5471 on the taxpayer’s entire income tax return until the IRS receives a substantially complete filing. This subjects your income tax return to a longer period of audit scrutiny. The IRS utilizes Form 5471 to have a complete transparency of what U.S. persons own interests in foreign corporations. It is merely an informational return and has nothing to do with the computation of any tax. This is similar in purpose to FBAR’s which is a separate informational return filing that taxpayers with foreign bank accounts are required to file on an annual basis. If you are a U.S. person who is an officer, director, or shareholder in a foreign corporation (that is a legal entity formed under the laws of a country other than the United States) you need to comply with the requirement to file Form 5471. There are four active filing categories with different filing requirements for those who meet each separate category description. If you meet more than one category description, you can file once but must include all of the information required for both categories. For the majority of the categories, a U.S. person is defined as any of the following: a U.S. citizen or resident, a domestic U.S. partnership, a domestic U.S. corporation, or a domestic estate or trust. Category 2: This category applies in the year when a U.S. person acquires 10% or more of the stock in a foreign corporation as an officer or director. Category 3: This category applies to any U.S. person who adds to their stock in a company, thereby surpassing the 10% minimum ownership, or any U.S. person who sells their stock in a company so that they own less than 10%. Category 4: This category applies to any U.S. person who owns more than 50% of the stock of a foreign corporation. Category 5: This category applies to any U.S. person who owns at least 10% of a “controlled foreign corporation” or CFC. No matter which category you may fall in, the penalties for not filing Form 5471 would be the same. The penalty for not filing Form 5471 (or doing so incorrectly) is $10,000 for each tax year. An additional $10,000 will be charged if the information is not provided within 90 days after the IRS has mailed a notice of failure to the U.S. person. After that, an additional $10,000 penalty will be applied each 30-day period until the information is filed. The maximum penalty is limited to $50,000 for each failure but considering that multiple years of non-compliance may be involved, you can see how this amount can grow even bigger. Keep in mind that the foreign corporation does not have to have any profits for the penalties to apply. This is a penalty for a failure to file an informational report, not a tax that results from the information provided on the form. It is possible to get these penalties abated due to “reasonable cause” which is why the hiring of qualified tax counsel is essential to pursue such a result and to make sure that your Form 5471 filings are acceptable to the IRS. Form 5471 should be attached to your income tax return if filing as an individual, or with your corporate tax return if filing as a corporation. The corresponding due dates of each type of filing apply as well. For example, Form 5471 is due by March 15th if filed by a corporation. 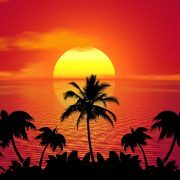 If filed by an individual, it would be due April 15th, or June 15th if you are an expat. Now if any income tax return is put on extension, the due date for the Form 5471 also follows the extended filing deadline of the underlying income tax return. You know that at the Law Offices Of Jeffrey B. Kahn, P.C. we are always thinking of ways that our clients can save on taxes. If you are selected for an audit, stand up to the IRS by getting representation. Tax problems are usually a serious matter and must be handled appropriately so it’s important to that you’ve hired the best lawyer for your particular situation. The tax attorneys at the Law Offices Of Jeffrey B. Kahn, P.C. located in Orange County (Irvine), Metropolitan Los Angeles (Long Beach) and elsewhere in California are highly skilled in handling tax matters and can effectively represent at all levels with the IRS and State Tax Agencies including criminal tax investigations and attempted prosecutions, undisclosed foreign bank accounts and other foreign assets, and unreported foreign income. 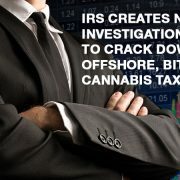 Also if you are involved in cannabis, check out what our cannabis tax attorneys can do for you. 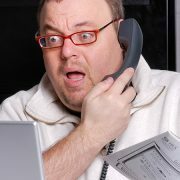 Swiss Bank Information On U.S. Accountholders Now Flowing To IRS WITHOUT Notice! The United States Department Of Justice (DOJ) has received 106 requests from Swiss entities to participate in a settlement program aimed at ending a long-running probe of tax-dodging by Americans using Swiss bank accounts according to a senior US official. We previously reported that over 24% of secret accounts that were later voluntarily disclosed by U.S. taxpayers to avoid prosecution came from Switzerland. These banks will be disclosing a great deal of information about their American clients including names as early as April 30, 2014. To make matters worse for U.S. accountholders, Swiss Parliament has approved a legal amendment that foreign accountholders will not have to be told if Switzerland sends information about them to other countries. This move further loosens Swiss banking secrecy laws in order to avoid a global backlash. 1. If your account is with one of 106 Swiss Banks, then your information is probably already on its way to the IRS. 2. If your account is with any other foreign bank in ANY country, your account information will be turned over to the IRS, pursuant to the U.S. Foreign Account Tax Compliance Act (FATCA), regardless of whether you received any notification from your bank that it is following this protocol. The IRS is giving taxpayers one last chance to come forward and voluntarily disclose foreign accounts and unreported foreign income before the IRS starts investigating non-compliant taxpayers. If you have never reported your foreign investments on your U.S. Tax Returns, you should seriously consider participating in the IRS’s 2012 Offshore Voluntary Disclosure Initiative (OVDI). Once the IRS contacts you, you cannot get into this program and would be subject to the maximum penalties (civil and criminal) under the tax law. Taxpayers who hire an experienced tax attorney in Offshore Account Voluntary Disclosures should result in avoiding any pitfalls and gaining the maximum benefits conferred by this program. Description: Protect yourself from excessive fines and possible jail time. Let the tax attorneys of the Law Offices Of Jeffrey B. Kahn, P.C. located in Los Angeles, San Francisco and elsewhere in California qualify you for OVDI. Americans with Israeli bank or other financial accounts could face a tough tax season in 2014 if they do not come forward and disclose their assets to the IRS. Recently, Israeli banks have come under increased scrutiny by the IRS in regards to disclosing the accounts of their American clients. In particular, three Israeli banks- Bank Hapoalim, Bank Leumi and Mizrahi Tefahot- are under investigation by the Department of Justice. To avoid prosecution, many other Israeli banks will begin turning over information as early as July 2014. The prompt release of U.S. accountholder information by Israeli banks is a result of the IRS’s efforts to fully implement the 2010 Foreign Account Tax Compliance Act (“FATCA”) which requires foreign banks and financial institutions to report the assets of their American account holders. Lack of compliance, banks were warned, would limit their ability to do business in America. FATCA was passed as part of the U.S. government’s effort to crack down on U.S. tax evaders. Initially, the IRS concentrated its efforts on Swiss Banks. 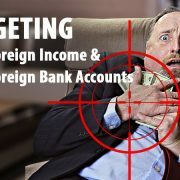 This focus has led to an increase in the enforcement of the requirement that Americans and American residents file a Foreign Bank Account Report on every account held abroad that is worth more than $10,000. As the IRS cracks down on offshore accounts and on suspected fraud from overseas, Israel faces extra scrutiny. A recent report issued by the Government Accountability Office found that 4% of the accounts reported worldwide through this program were in Israel, making it the fifth most likely destination for overseas bank accounts. Israeli banks have increased their efforts to identify clients who are United States citizens and report them to the IRS. A series of prosecutions against American citizens trying to avoid reporting their accounts in Israel and against tax preparers who advised their clients to use Israel as a tax shelter helped drive home the point. Accordingly, Israeli banks have been urging their American account holders to come forward and disclose their assets under the Offshore Voluntary Disclosure Initiative (OVDI). In December 2013, Bank Leumi, the largest commercial Bank in Israel, sent out a letter to their American clients to come forward under the program. Increased enforcement has impacted a wide circle of Americans, mainly Jewish, with ties to Israel. It includes not only those who have immigrated to Israel, or made aliyah, as adults, but also children of American citizens who are citizens themselves but may have never even visited the United States. The law is also relevant to any American who has opened an account in Israel in the past for use during visits to Israel or to help manage rental income in Israel. U.S. taxpayers with account holdings should seriously consider coming forward and disclosing their assets to the IRS. 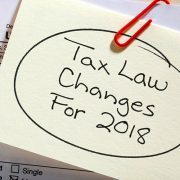 If you have never reported your foreign investments on your U.S. Tax Returns, the IRS has established the Offshore Voluntary Disclosure Initiative (OVDI) which allows taxpayers to come forward to avoid criminal prosecution and not have to bear the full amount of penalties normally imposed by IRS. If you have never reported your foreign investments on your U.S. Tax Returns, you should seriously consider participating in the IRS’s Offshore Voluntary Disclosure Initiative (OVDI). Once the IRS contacts you, you cannot get into this program and would be subject to the maximum penalties (civil and criminal) under the tax law. 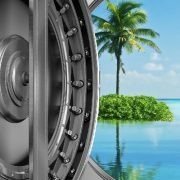 Taxpayers who hire an experienced tax attorney in Offshore Account Voluntary Disclosures should result in avoiding any pitfalls and gaining the maximum benefits conferred by this program. Protect yourself from excessive fines and possible jail time. Let the tax attorneys of the Law Offices Of Jeffrey B. Kahn, P.C. located in Los Angeles, San Francisco and elsewhere in California qualify you for OVDI. The prompt release of U.S. accountholder information by Israeli banks is a result of the IRS’s efforts to fully implement the 2010 Foreign Account Tax Compliance Act (“FATCA”) which requires foreign banks and financial institutions to report the assets of their American account holders. FATCA was passed as part of the U.S. government’s effort to crack down on U.S. tax evaders. Initially, the IRS concentrated its efforts on Swiss Banks. However, in the past year, the IRS has been expanding its reach to other countries, particularly Israel. As a result of this crackdown, some Israeli banks have been urging their American account holders to come forward and disclose their assets under the Offshore Voluntary Disclosure Initiative (OVDI). In December 2013, Bank Leumi, the largest commercial Bank in Israel, sent out a letter to their American clients to come forward under the program. Despite the recent scrutiny by IRS on the Israeli bank, the attorneys with Law Offices Of Jeffrey B. Kahn, P.C. are still qualifying taxpayers with Israeli bank accounts for OVDI. With our expertise in Offshore Account Voluntary Disclosures, taxpayers should result in avoiding any pitfalls and gaining the maximum benefits conferred by this program. The Swiss government has been urging about 300 Swiss banks to come forward and disclose their American account holdings to the U.S. The deadline set by the U.S. Department of Justice (“DOJ”) for the Swiss banks to participate in a voluntary program whereby they disclose assets of their American clients was December 31, 2013. By disclosing the assets and paying fines, the banks would be avoiding criminal prosecution. In recent years, the U.S. has been cracking down on American tax evaders and the banks that help them. In 2009, Swiss banking giant UBS admitted they were aiding tax evaders and paid out $780 million in a settlement with the U.S. Another bank, Wegelin & Co., folded because of pressures from the DOJ investigation. In turn, the Swiss banks have been pressuring their U.S. clients to come forward and disclose their assets to the IRS. In December 2013, Swiss banks sent out letters to their American clients urging them to fess up. The hope is that if more account holders come forward, the banks will pay less in fines and penalties. Over 80% of Swiss Banks surveyed had stated that they have implemented the steps to participate in the DOJ Disclosure Program and that they are sending information on U.S accountholders to the DOJ. Let the tax attorneys of the Law Offices Of Jeffrey B. Kahn, P.C. resolve your IRS tax problems, get you in compliance with your FBAR filing obligations, and minimize the chance of any criminal investigation or imposition of civil penalties.